This is a call out to all Gocco owners. Do you have Gocco supplies you no longer need and would like them to go to a good home (and make some money)?The Riso Print Gocco is a fantastic machine but due to the rising cost of supplies and Riso discontinuing production many people have been left with machines and small amounts of supplies that they can no longer use. I am in need of B6 screens and bulbs for upcoming Gocco prints and would like to buy surplus Gocco supplies, preferably from the UK. Veris Studio MIKMIK is currently developing the identity for Veris, a security and risk consultancy based in Jakarta, Indonesia. 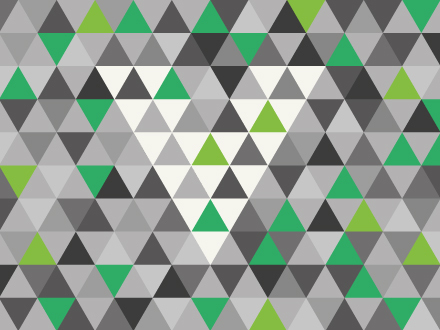 The pattern is abstracted from the core logo and will feature on document covers, brochures and business stationery. 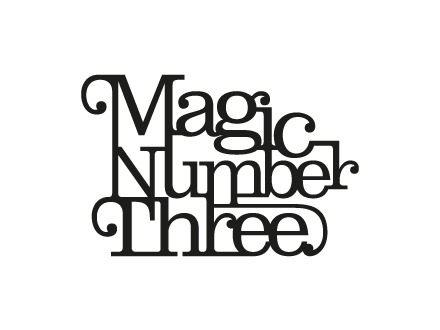 Studio MIKMIK is currently working with ethical fashion boutique Magic Number Three on a full brand refresh. The new slimline and refined logo, originally designed by Tom Woollard, has been unveiled and soon an adapted linear version will be adorning the storefront in traditional gold leaf gilding. Studio MIKMIK recently created the identity and print for The Art Lounge, “A homely place to meet up with friends, enjoy great music and unwind”. 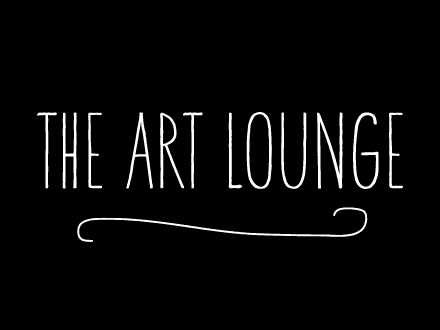 The Art Lounge is on Bank Holiday Monday (30th August) at Caroline Street Social Club in Saltaire. The Housekeeping Society, fresh from their recent live performance on BBC Raw, will be supplying the music along with support acts and a DJ. If you’re in the neighbourhood then drop by for a relaxing end to the Bank Holiday weekend. Studio MIKMIK has been commissioned by Impressions Gallery, Bradford to create a series of print adverts to promote the City Centre photography gallery. Look out for the JCDecaux bus shelter adverts in Bradford City Centre over coming weeks. 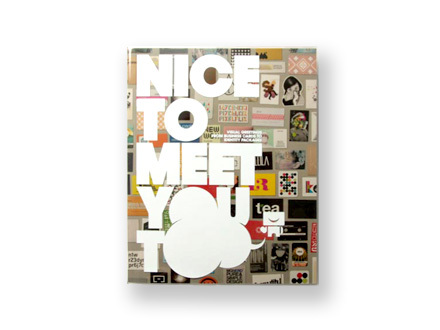 Studio MIKMIK is included in the new Victionary publication Nice to Meet You Too. This well crafted book is over 300 pages and is available worldwide and in local bookstores from April 2010. Victionary says… ‘With more than 100 creative talents contributing their self-promotional items and commissioned projects for clients in different professions, this new title gathers a great number of striking hellos that continues to make good impressions in this competitive world’. This book has been a long time in the making but finally it’s here and it features a lovely double page on Studio MIKMIK. Regular visitors to Bowie Style’s Print and Pattern blog will be familiar with the lovingly curated contents of this book which is jam-packed with inspiration. 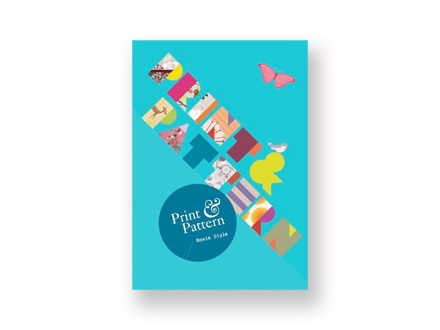 Published by Laurence King, Print and Pattern will be available from March 2010. Studio MIKMIK is currently working with the Yorkshire Dales National Park on the design of their Special Qualities, Special Experiences report. The 120 page report focusses on the unique aspects of the National Park and outlines strategies for promoting and aiding recreation and tourism. 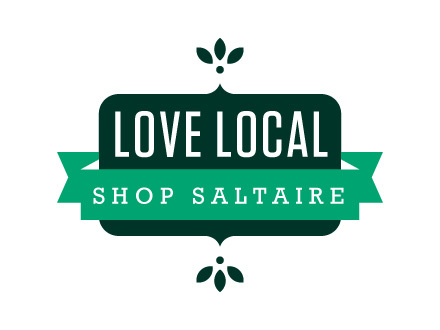 Studio MIKMIK has recently completed the identity for the ‘Love Local, Shop Saltaire’ campaign project being orchestrated by Magic Number Three in Saltaire. The project aims to promote shopping locally in the run-up to Christmas 2009 and beyond. The identity will span window graphics, newsletters, promotions and eventually an online hub for local businesses. Studio MIKMIK has been awarded the tender for Leeds Museums & Galleries ‘Flock Together’ collection of exhibitions. During 2010, under the group title of Flock Together there will be several bird themed exhibitions held within LMG venues. The exhibitions include ‘A House of Birds’ at Temple Newsam House which will feature the work of J.J. Audobon and ‘Matters of Life and Death’ at Leeds City Art Gallery’ which will be displaying J.M.W Turner’s watercolour studies of birds for the first time in eight years. Studio MIKMIK is currently working with the curation team at Leeds Industrial Museum on exhibition graphics for their upcoming A Gentleman’s Wardrobe exhibition. The exhibition space will be open from 17th November 2009. Studio MIKMIK is very pleased to be working with the team at Leeds City Museum on a refresh to pieces of internal signage. LCM is a fantastic educational resource in the heart of Leeds and is 1 year old this week. Happy Birthday LCM!